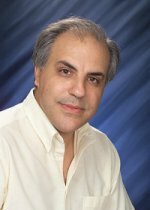 Congratulations to Dr. Sotiris Xantheas of Pacific Northwest National Laboratory on being elected to the rank of a Fellow in the American Association for the Advancement of Science. The AAAS is the world's largest general scientific society and publishes the journal Science. Election as a Fellow of AAAS is an honor bestowed upon members by their peers. Fellows are recognized for meritorious efforts to advance science or its applications. Xantheas’ highly accurate electronic structure calculations on aqueous molecular clusters are used widely in the physical chemistry community. He combines data gathered in the lab and with computer theories to develop models that include molecular-level details for aqueous systems and water. His recent work helps scientists better understand the structure of hydrate lattices, which are aqueous frameworks in the ocean’s floor that store the greenhouse gas methane, among many other applications. Xantheas is a Laboratory Fellow at Pacific Northwest National Laboratory. He’s also a fellow of the American Physical Society and was given the Wilhelm Bessel Research Award from the Alexander von Humboldt Foundation and a Marie Curie Fellowship from the European Union. He has written or contributed to more than 100 publications that have earned over 5,000 citations. The association will honor Xantheas and the other new fellows at its annual meeting in San Diego, California, in February 2010.